In my previous posts, i have explained what brute force attack is and how to implement using cain tools. Today i am going to explain what dictionary attack is. This is second type of Cracking the cipher text. Trying all known passwords is known as Dictionary attack. Usually users will set simple password like 12345,54321,ilovemom,one4three,143,iloveyou.etc. How to Crack the Hash Code using Dictionary Attack ? First of all store the possible passwords in a text file. 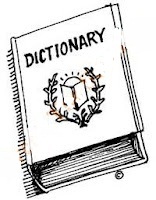 This file is known as Dictonary. Now get the password from the Dictionary as input and encrypt it. Now the compare the created Hash code with original Hash code. Case ii: if it equal then display the password. What else you have successfully cracked the Hash code . Enjoy. you can try this Dictionary cracking method until you know completely about the user. Also sometime may set difiicult password like ae73kd3deo^ . In this time you can not use this cracking method. As you don't know about the password strength, you can try this method first. If it fails to find,then go with Brute Force Attack. If you really want to protect your account,then set the password like iloveyou,ilovemom,12345. Instead set a strong password so that hackers can not crack your password "easily".